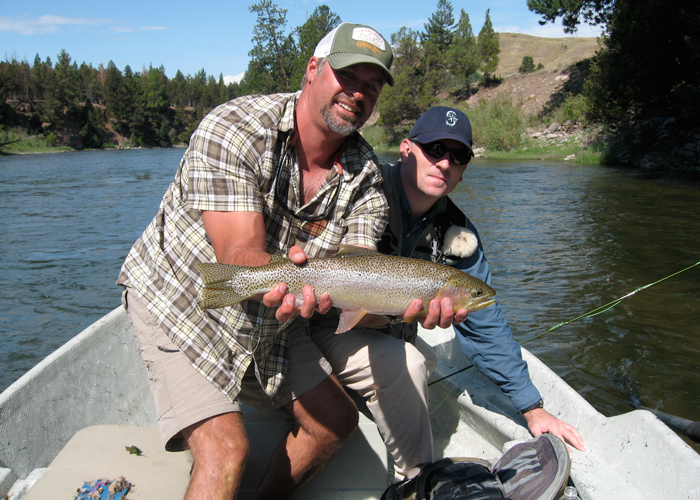 Missoula Montana Fly Fishing Guides with Clear Creek Outfitters Make The Difference! Here at Clear Creek Outfitters we believe you should get the best experience possible during a fishing trip. You cannot have the adventure of a lifetime with less than superior guides. Our fly fishing guides are knowledgeable, experienced, patient and above all LOVE to be on the river! 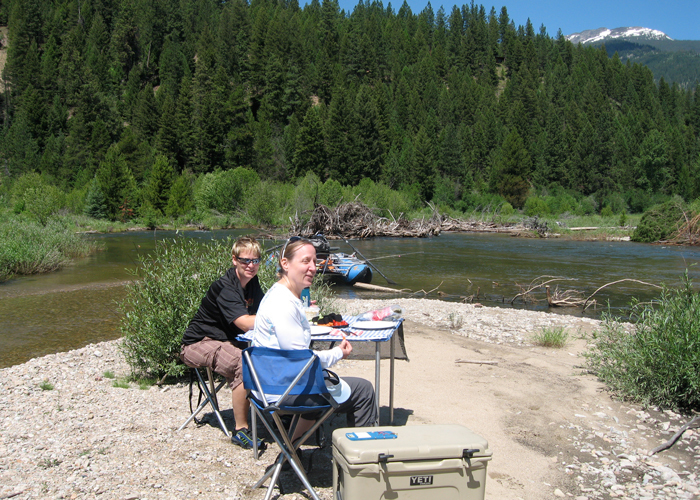 Here at CCO we believe the guides are the most important part of your fly fishing experience. Since they love to be on the river and fly fishing is also their hobby you know they are passionate about fly fishing, and all of our guides love teaching and sharing the sport with others! Our guides often say how they get a burst of adrenaline when their client gets their first fish of the day. The Missoula Montana fly fishing guides at Clear Creek Outfitters work well with all levels of client fishing experience. Whether you are an experienced angler and merely need the appropriate fly selection and some local area knowledge, or you are a beginner and need practice on your casting technique, our guides will do everything they can to ensure your experience is outstanding! Here you can meet our guides and catch their enthusiasm for fly fishing! Read our testimonials below and you will see how our enthusiasm we have for fly fishing at Clear Creek Outfitters is so contagious. Book your trip now for the up coming season. Some clients come twice – once with business associates and another time with the family. 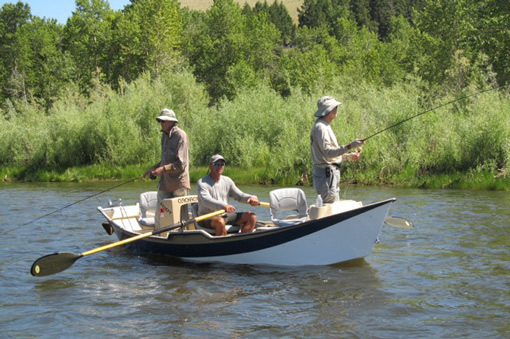 Experience true Montana hospitality and have a fly fishing experience of a lifetime. 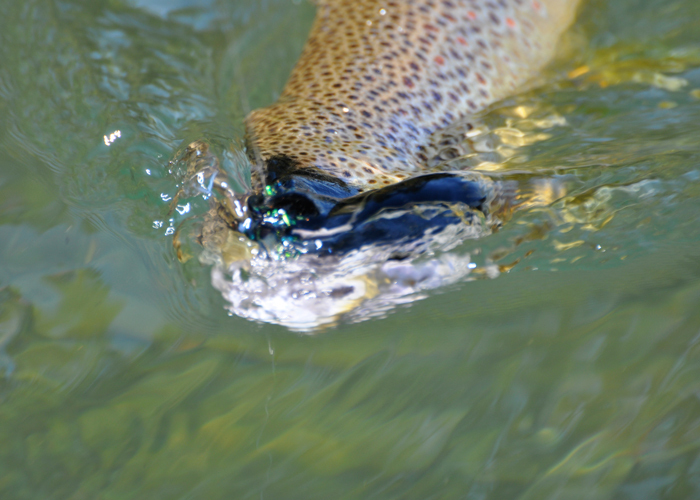 Come see for yourself why the Clear Creek Outfitters are the best Missoula Montana fly fishing guides! Often we have guides that get in touch about coming out and working for the summer. Unfortunately, all I can give them is some good advise, “Come out here and learn the floats on our rivers, and then eventually we will be able to work you in.” While trout hold in certain water no matter where you are, it still takes considerable time to really learn a stretch of water. And we have a lot. One thing I have learned over the years is the best guide isn’t always the one with the most years under their belt. There are a lot of factors that go into a great guide. Here at Clear Creek Outfitters, we require enthusiasm, hard work, knowledge, and patience, from all our guides. It won’t take long for you to see that any of our guides you may have for the day, has an extreme love for what he or she does and wants to share it. Clear Creek Outfitters 5 out of 5 based on 18 ratings. 18 user reviews. Why would I recommend Clear Creek outfitters? First time fly fishing, could not have asked for a better outfitter or guide, our day down the Blackfoot was fantastic. Doug is what you would want a guide to be, he is experienced, friendly and was extremely patient for a couple of novices such as myself and my wife who were enjoying their 35th. anniversary. My family and I go with Doug and Clear Creek Outfitters every year. Clear Creek is a professional outfitter dedicated to their client's needs and expectations. We've never had a bad experience and the fish are always there to put up a fight. I floated with Doug Jones & Clear Creek Outfitters this June (2013) on the Clark River below Missoula as well as the Missouri River out of Craig, MT. To say it was a complete pleasure would be an understatement. Doug has a pleasing, easy style on the water as well as expert knowledge of all waters in the area. He put us onto fish but more than that, he knows how to quietly row and steady the boat making for perfect long drifts with a dry fly. He was prompt picking us up in the morning, comfortable ride to the water, provided a great lunch, tied on the perfect flies for us and expertly landed our biggest fish. Trust me.. I know.. If you want to float the Blackfoot, the Bitterroot, Clark or Missouri, contact Doug, you won't be disappointed. If you are gonna fish...ask for Doug. Great guy, great sense of humor, and a great teacher. He put us in the very best spots and was teaching along the way. The best guide I have ever had! Cheers. I've fished with Doug for many years and wouldn't think of going with anyone else! We went to the Bitterroot River and the fishing was slow, so Doug turned around and we had great day on the Blackfoot River. Who does that? Thanks Doug.....will be back!! I love fly fishing in Montana. 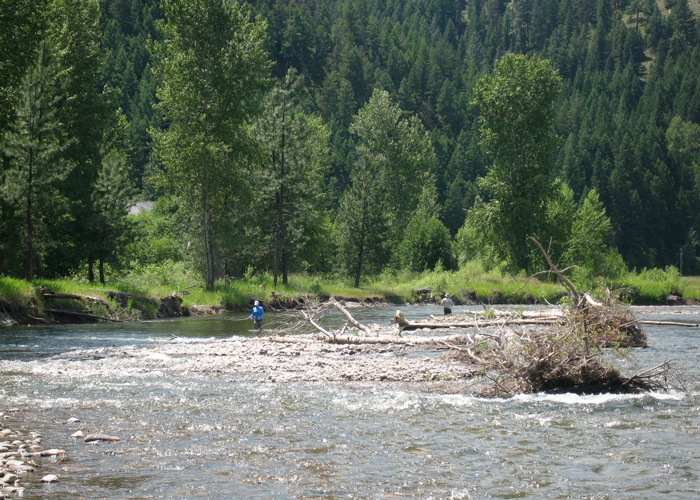 I enjoyed my first Missoula fly fishing experience with Doug guiding my son-in-law and I on 6/20/15. It was an experience of a lifetime fishing for Rainbow, Brown, and Cutthroat trout on the Bitterroot River. Doug was a fantastic fishing guide, instructor, expert navigator, tour guide and well prepared to make it a memorable, comfortable, experience of a lifetime. It was a glorious ending to an amazing week for us, as Doug say's , "living the dream, fishing the stream". I say, "it doesn't get any better than this!" Thanks Doug and Clear Creek Outfitters! Aaron was fantastic. My son and I floated the Blackfoot today and had a wonderful time. Aaron was great - he taught us ( novice fly fisherman) and was the most professional and personal guide I've experienced. His knowledge and patience made us feel very welcome. Thanks for a great day on the water. Memory of a lifetime! We'll be back! Doug and the team at Clear Creek really took good care of my son and myself on recent trip to the Blackfoot. It was was a great day....the beauty, the fun, the fellowship and the laughter. My 9 year old son caught his first rainbow on a fly and he was over the moon about it. Great day, great folks. Makes loving Montana even easier. Tight lines!!! Highly recommend!!! Will be back. We had 3 great days of float fishing on the Blackfoot, Clark Fork and the west fork of the Bitterroot. Doug Jones and his guides do a great job on the float providing a friendly and welcome atmosphere. Doug is a very experienced guide and knows how to put you on the fish regardless of your experience level. Doug is fantastic. Had never been fishing before but was really happy I met Doug and had the opportunity to go on one of his fishing tours/seminars. Was amazing! We spent two days with Doug on the Blackfoot and Bitterroot West Fork. This guy knows the rivers and he is very good with weekend fisherman who enjoy the sport but are far from experts. Hiring a good guide makes all the difference for a successful fishing experience. He has the boat, the truck, all the tackle, and above all the knowledge of where to go and how to fish the many rivers in the Missoula area. He is a real pleasure to spend time with as well. 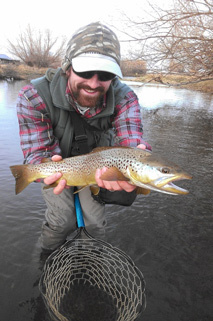 Doug Jones consistently deliver amazing experiences on Montana's best fisheries. Incredibly skilled and knowledgeable, Doug is equally great with beginners, to the most seasoned anglers....and everyone in between. He is my "go to" guide when fishing the great state of Montana and I highly recommend that you give Clear Creek Outfitters a shot. You won't be disappointed! I've been fishing with Doug Jones of Clear Creek Outfitters for the past 5 years. We fished the most productive stretches of the Bitterroot, the Blackfoot, and the Clark Fork. Doug knows his business. He is one of the best guides I have been out with anywhere. I consider myself an intermediate fly fisher. What that translates to is that Doug has to probably tie on many more flies for me than the average person and/or help navigate the birds nests that I somehow seem to be most adept at creating. Never a complaint from Doug. He's a good person and provides a quality service. You may not catch fish every time you go out...it is fishing not catching ... but you will have a good time! I have fished with Doug Jones and Clear Creek on two different occasions. The experience was fantastic. Doug has great knowledge of the rivers and great respect for the ecology and area he calls home. I am a novice fly fisherman and Doug is very patient and well humored when it comes to tangled lines and flies in the back of his neck. Blackfoot, Bitter Root and Missouri Rivers were all amazing. He is professional and well respected. Boats and gear are in great shape. I've been out with Doug in early and late spring, summer, and fall. There is more fishing available in his area than you can fish in a full week. Always a pleasure hanging out and learning/experiencing the day on the river with him. My wife and kids have all spent multiple trips in the past few years with Doug and I find him hands down the most enjoyable guide for all skill levels I have run into. I highly recommend Doug and Clear Creek Outfitters for anyone of any skill level to contact him in the Missoula and Craig areas of MT. I booked a trip with Doug for my birthday, and he was absolutely perfect!! I had an amazing day, aside from having a friend invite themselves and kind of putting a damper on the day. But Doug was very professional, thoughtful, patient, informative, and fun to be around. He didn't talk too much and didn't talk too little, and he really knew the river!! I will definitely be going out with him when I return, he helped make it my best experience so far. I have no doubt it will be even better next time. I also had a baby with me, which he was incredibly empathic and considerate about. Thank you for a great day!! Get your Montana Fishing License here. I have spent nearly two decades, guiding western Montana’s rivers and streams. I am originally from Atlanta Georgia where I studied fish and wildlife conservation, and competed as a student athlete at Louisiana State University. After a few years guiding in Tennessee I decided to make a move to Montana in the late 90’s. I feel extremely blessed and lucky to be able to raise my son in God’s country and call the pristine streams around Missoula, Montana, my office. The reason I do what I do is simple: having the ability to meet great people, share the knowledge I have, and see the excitement in people’s eyes, when hooking up on a nice fish. While you may often hear “living the dream,” and it may sound somewhat cliché, I honestly believe, in my case, that it is true. Growing up in Michigan’s Upper Peninsula, I learned to fly fish and tie flies from my father at a young age. This hobby turned into an obsession, and I quickly found myself spending most of my free time on the water. Originally being from Montana, I knew I had to make the trek back out west to the trout fishing mecca. I enjoy guiding for many reasons, but the best part is getting to share my passion with others and helping them learn as much as possible during a day on the water. I get just as excited watching people catch fish as I do catching them myself and seeing their reaction and adrenaline is part of what makes fly fishing so special to me. Originally from Virginia Alex Pontone grew up fishing the rivers and streams of the Blue Ridge Mountains. As a kid he was never indoors and learned how to cast a flyrod chasing smallies at his families place along the New River. Looking for colder water and bigger mountains Alex headed west doing a short stint in Northern California and arrived in Missoula in 2001. Ever since, he has been unable to stay off the water. 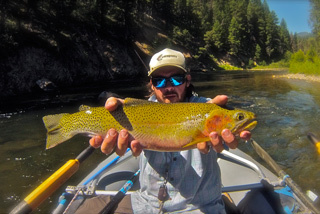 After graduating from the University of Montana and a couple great years of traveling and fishing he took up guiding and has worked the rivers of western Montana. 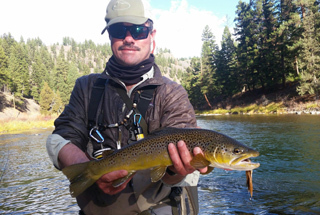 Justin Hoerner is a Montana native with over 20 years of fly fishing experience on the freestones and tailwater’s of western Montana. As a young child, he cut his teeth on the Big Hole River. Education brought him to Missoula Montana where he gained extensive knowledge of the Bitterroot, Blackfoot and Clark Fork rivers. 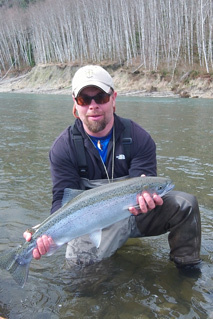 As a guide, Justin is a patient and personable instructor who loves taking out the first time angler or seasoned vet. During the off season, Justin manages his family cattle ranch, hunts upland and migratory birds with his brother, and spends time with his wife and 3 dogs. He attended the U of M in Missoula Montana where he studied wildlife biology and geology. 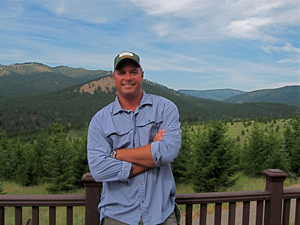 Brooks started professionally guiding fly fisherman and hunters in MT in 2001 and has guided on the Bitter Root, Clark Fork, Black Foot, Rock Creek, and the Missouri rivers in western Montana. Brooks is a husband and father of 2 children who love the outdoors and live to hunt and fish as much as he does. “There’s nothing better than spending time with my family, floating down these awesome Montana rivers, fly fishing,” he exclaims.